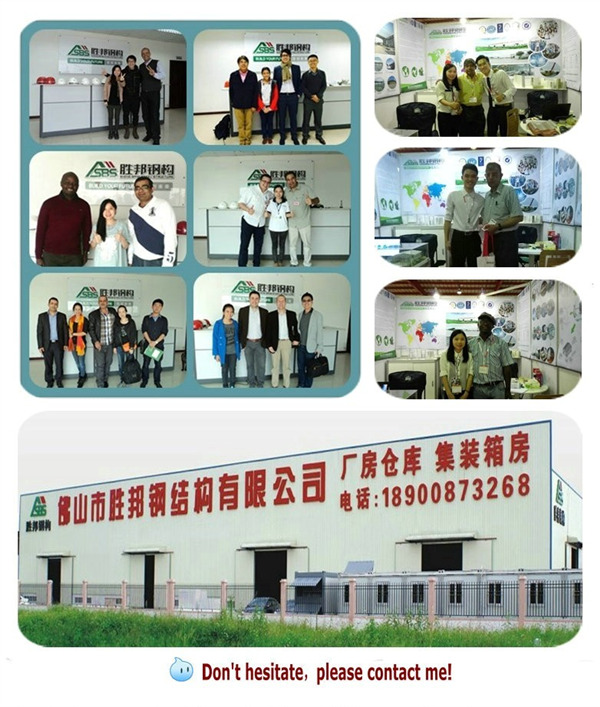 In recent years, sheng bang steel structure building enterprises in learning advanced foreign technology, continuous innovation, has been in the international advanced level. State Bureau of Technical Supervision, Ministry of Construction and other relevant departments and associations, organizations, universities, research, design, construction and other enterprises and institutions, the preparation and revision of the steel structure of the relevant standards and specifications of nearly a hundred, which laid the foundation for the application of building steel structure system The technical basis for the design, production, installation provided the basis. Through the introduction of foreign advanced software and self-produced software, a combination of the effective promotion of sheng bang steel structure design and analysis of the progress, to meet the current requirements of various types of steel structure design and analysis. In recent years, sheng bang steel structure enterprises continue to insist on scientific and technological innovation, actively carry out the development and application of new techniques and new technologies, and increase the development and conclusion of patents and work methods. The achievements in science and technology have doubled than in previous years. Various new equipment, new technology, new materials in the manufacture and installation of steel structures in the field of development and application, but also for the development of steel structures provide a strong technical support. Such as efficient welding process and new welding, cutting equipment applications, efficient welding materials and anti-corrosion, fire and other new technology development and application of new materials. However, the production capacity of special welding equipment and major equipment cannot meet the needs of domestic users. Some domestic scientific research institutes, relevant institutions of higher learning and steel structure enterprises and other units in the steel structure technology development and application of fruitful scientific research work, has made a large number of research results for the Sheng State steel structure building development Provide the necessary technical basis. With the continuous development of our country's social economy, the scope of China's steel structure construction is also getting bigger. At present, China's prefab steel building production has exceeded 700 million tons, China's steel production has reached 30 million tons. Want to promote the rapid development of steel structure, it is necessary to improve the state of the art of steel welding, promote state-state welding technology. With the continuous development of our national economy, major projects such as the east-west gas transfer and the South-to-North Water Diversion have been completed and the 2008 Beijing Olympic Games in our country have also been carried out smoothly. Under this brand-new situation, we must improve the technical level of our country's steel structure welding. At present, China's construction industry has become more and higher in the world market economy.